Our history, our ethos, and our team. As a wholly-owned subsidiary of USWired Inc., a leading provider of IT services for the past two decades, we know what it takes to move your business to the cloud, with the assurance that your applications and data are completely safe and always available anywhere in the world, on any device. Our mission is to make powerful, scalable cloud services easy and affordable for businesses of all sizes, without the need for an IT professional. The cloud has fundamentally transformed the way we work, but the challenges of moving to the cloud can seem overwhelming for many businesses. Those with limited in-house technical expertise or that are running database, industry-specific, or custom applications on-premise for which there is no easy migration path to the cloud (beyond simple email and popular office productivity suites like Microsoft Office or Google Apps) can find this migration particularly daunting. For non-IT professionals, it can be difficult or impossible to move to the cloud on your own using a major public cloud provider like Amazon Web Services, Microsoft Azure, or Google Cloud Platform. Not so with SimplyClouds. That’s because our cloud platform (which works seamlessly with third party public clouds) was purposely built for the everyday business user, requiring minimal technical know-how. From our intuitive marketplace to our self-service management portal, we make moving to the cloud truly easy and stress-free. Our team is deeply passionate about helping businesses move to the cloud quickly and effortlessly. We are driven by the following values embodied in the word S-I-M-P-L-Y. Serve the customer well We do what it takes to always put the customer first. Inspire innovation We are constantly inspired to create better solutions for our customers. Make a difference We act with purpose to make a positive difference in the world. Play fair We never compromise our integrity to be the best. Lead by example We’re accountable to each other, our partners, and our customers. Yield valuable results We strive to achieve results that enhance value for our customers. Robin is responsible for the overall strategy and vision for the company and has over 20 years of experience building and providing technology products and services. Prior to starting SimplyClouds, Robin founded USWired, a leading IT Services firm, which has been named to the Inc. 5000 list as one of America’s fastest-growing private companies. Earlier in his career, Robin held a number of product management roles at Borland, Claris, and Adobe, where he was responsible for product, sales, and marketing strategies for a number of successful multi-million dollar product lines. Robin has a Bachelor’s Degree in Computer Science from the University of California at Berkeley and an MBA from Columbia University. 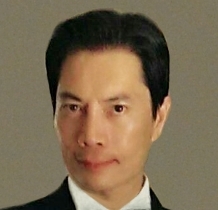 Bob is responsible for the SimplyClouds technology platform and strategy. 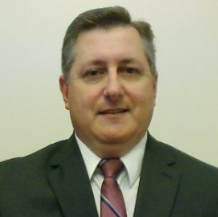 Bob is a 20+ year veteran of the IT industry, having architected mission-critical, highly secure IT infrastructures and solutions across a diverse set of industries, from healthcare and financial services to government entities and public companies. His passioned commitment to all things cloud and his relentless focus on reinventing the way things are done continue to push the envelope of emerging cloud-based technologies and how they are delivered. Bob holds Bachelors and Masters Degrees of Science from the Technical University of Sofia, Bulgaria. Damian is responsible for all customer-facing functions, with a fanatical focus on the overall customer experience. 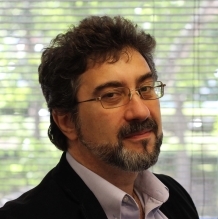 Damian has 30 years of operational and IT leadership experience in Fortune 500 companies and large healthcare institutions, including Visa and Stanford University Medical Center. His leadership by example forms the foundation for his passion for world-class customer service. Damian has a Bachelors Degree of Computer Science from Bloomberg University of Pennsylvania. 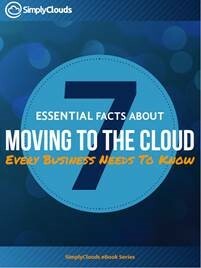 Learn about 7 important facts every business needs to know before moving to the cloud. While the production facilities of small firms might not crank out the high volumes that mega factories do, the former can still benefit greatly from an approach that is driven by data. Processes such as inventory management, production monitoring, and quality control are made more efficient by the supply of relevant, real-time data. Our services are backed by world-class, fanatical customer service and support, available 24/7. © 2019 SimplyClouds Inc. All Rights Reserved.